Mayfield Park is famous for peacocks, located in West Austin, just north of downtown. 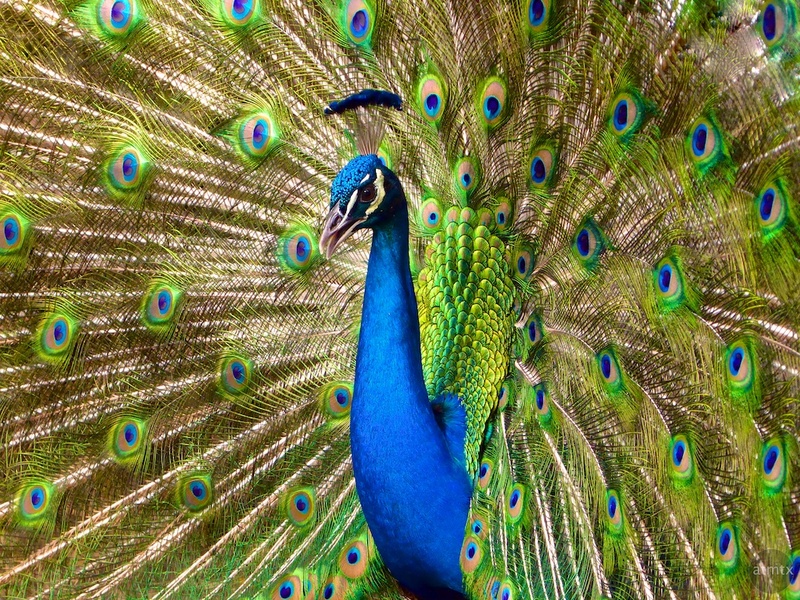 I’ve visited several times but never captured a great peacock photo until recently. You can create a dramatic composition with a long zoom but I usually don’t carry a telephoto with me, especially with my larger cameras. With my Panasonic ZS50, I conveniently zoomed to a 250mm equivalent and made this photograph. Thank John, Now please keep in mind that I did most process this image. Increased saturation and contrast, mostly. So it didn’t come out of the camera like this. The Panasonic ZS50 is a surprisingly useful camera but, of course, not without its deficiencies. Good point Andy, my friend has a budget for a camera, a point and shoot kind of person, so she will have to be happy with what comes out of the camera, I’m not sure if she has computer skills to ‘tweak’ photo’s.